Time series showing 10, 20 or 30+ years wind data. 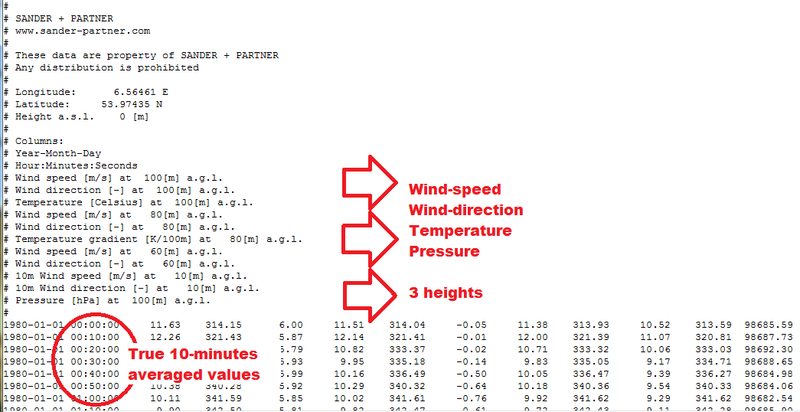 Work with most recent wind data: data include the most recent month. Available for any location, World-wide. Available at any height above topography. Meso-scale model runs with a resolution of 3km only. Time series show true 10-minutes averaged values.